I love dress shirts. So much so that a section of my closet is embarrassingly stuffed to the gills with them. In every color you can think of and probably a few variants of the shades that they come in. While I sometimes am slightly ashamed (as evidenced by the dark photo to the left showing the greens and blues section), I kind of also fully own this obsession and find myself constantly on the hunt for an even better shirt. While my wardrobe includes off the peg shirts from everyone from Trashness to Tom Ford and a number of Italian names in between, I have found that my favorite options of late are either made to measure or bespoke. On the bright side, there are now more made to measure "tailors" whether you're looking for a brick and mortar presence or online than one knows what to do with. Unfortunately, they're not all worth the money. I first became aware of DV when I followed a link posted by a friend of mine, Hamza of Casa di Sartoria on Instagram. I really liked the dress shirt he created and in reaching out to him, he shared that it was made from one of the bamboo fabrics offered by Deo Veritas (more to come on that later). Hamza kindly offered to connect me to Vinnie Sikka, the man behind Deo Veritas and I happily accepted. In our first conversation, Vinnie struck me as a down to earth guy committed to building a great shirt company. He openly shared some of the challenges he was experiencing as he worked to refine his products and frankly earned my respect in doing so. I've found that when most people are just starting out, they want to make everything look and sound great like they've got it all figured out. In my experience as both a blogger and in the business world I operate in, that's never the case. 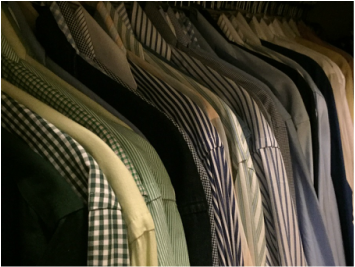 Being aware of how I feel about well made dress shirts, Vinnie offered to send a couple my way to get my thoughts which now I share here. As always, I give you the unvarnished truth about products I review so let's start with how you design a shirt on the site. Through the site, you have the option to create your own shirt or select from a collection of pre-made designs. I of course opted to create my own as frankly, that's where the fun lies. As I wanted to test out the process from start to finish, I decided to use the shirt customizer tool. 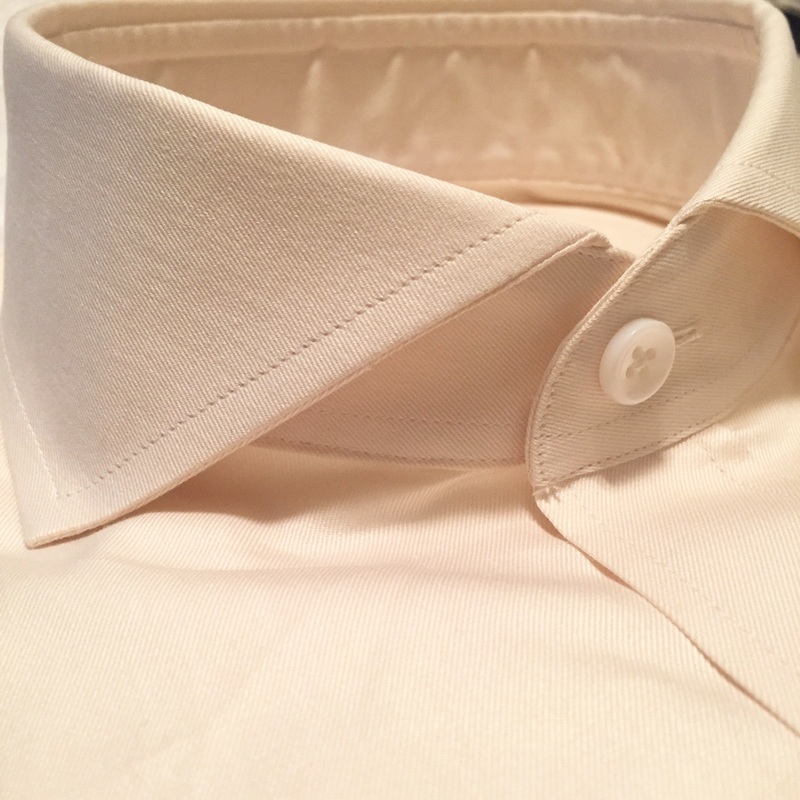 For the first shirt, I chose a medium-weight cream twill and opted to go with a full cutaway collar with a 7" spread and a 3.45" collar point and barrel cuffs. Instead of entering my own measurements, I used Deo Veritas' QSizing tool which asked me questions about my height, weight, and off the rack collar and sleeve measurements. Per the site, these questions are to establish a baseline pattern. These questions are then followed up with questions about your fit preference. Deo Veritas offers "traditional - a bit loose and boxy", "tailored - tapered yet not tight and restricting" and "slim - cut close to the body, somewhat restricting" as fit options. The next questions were about shoulder shape which I personally appreciated as I have sloping shoulders, and whether or not the shirt would be worn tucked or not. For the second shirt, I selected one of the bamboo fabrics in a light blue bamboo/cotton poplin and took some of the options for a spin including a spread club collar and turn back cuffs and a monogram. Here I ran into an issue with the customizer refusing to accept the placement I selected for the monogram. I wanted it right below the chest but for some reason, the customizer kept defaulting to the placket (which is where it showed up). I put this down to early technology related kinks as it seems to be working properly at the time of this post. A few thoughts on the bamboo fabrics offered by DV. Made by fusing bamboo with cotton, you end up with a fabric that is not only wrinkle resistant but also breathes quite well. Interestingly enough, you also get some moisture wicking characteristics which while not ordinarily something I would care about in a dress shirt as a firm believer in undershirts, I found neat nonetheless. Construction-wise, all Deo Veritas shirts seem to come with a two-piece split yoke standard as well as four piece collar assembly, unfused interlinings, and mother of pearl buttons. Getting even deeper into the details, the shirts are made with single needle stitching at 16-20 stitches per inch throughout and 144 stitches per buttonhole. In my opinion, all the small things that make a quality shirt detail wise. Deo Veritas boasts a delivery time of 10 to 14 days, which frankly speaking is impressive as all get out. Now, did I get my shirts in that timeframe? Well, not both of them. The cream twill arrived in as promised, beautifully packaged. The light blue bamboo blend arrived a few weeks later, equally as well packaged. I learned later in my conversations with Vinnie that he had changed tailors right after I placed the order leading to the unforeseen delay. Again, he was quite upfront and apologetic about the delay. Both shirts were solidly finished with no loose threads or buttons. I held off on putting this review together until I got a few wears in to see how they held up. I'm a huge fan of the bamboo as well as the execution of the club collar and cuffs. Regarding the fit, I was also pleasantly surprised to see how close the QSizing tool came to nailing it. All in, Deo Veritas delivers the value they promise. Check out their Fall 2016 look book here.